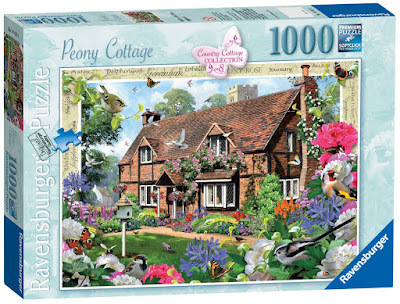 WIN #52: Country Cottage Collection - Peony Cottage 1000pc Puzzle! 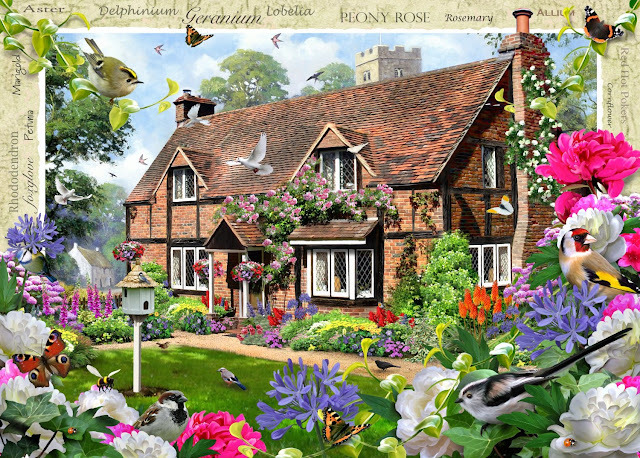 Win a Country Cottage Collection No.8 - Peony Cottage, 1000 piece puzzle from Ravensburger worth £11.99. Just imagine spending some time in this wonderful cottage and garden. Perhaps you'd wander around the garden admiring the flowers, gathering a few to put in a vase inside the picturesque house. Imagine the peace and quiet to be enjoyed in this stunning setting, the bird song, buzzing of the bees and the chiming of the clock in the nearby church tower. A lovely puzzle to enjoy with family and friends, or be totally self indulgent and assemble it alone!